If we want our children to recognize God at work in their ordinary lives, we need to talk about God in ordinary places. Our church is trying something new this summer—we are taking vacation Bible school (VBS) on location. That’s right! Three hours a day for five days we will meet in a different place, participate in a sacred story, eat lunch and enjoy our surroundings. We’ll discuss the parable of the Good Shepherd while at the zoo (John 10:11). 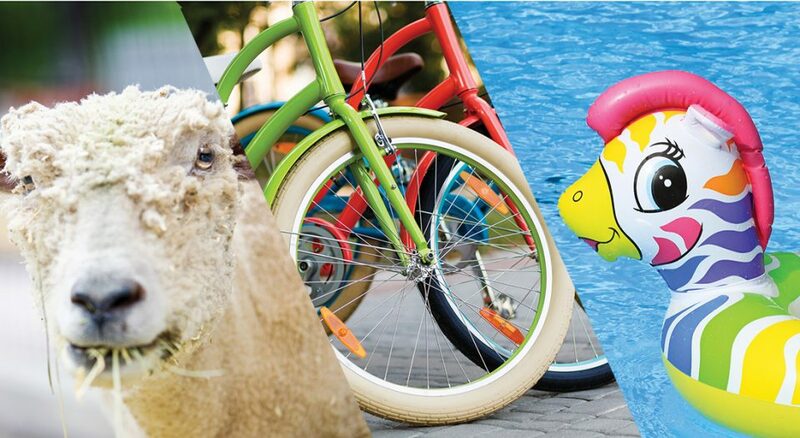 We’ll ride our bikes to the park to talk about the Israelites’ exile and return from Babylon (2 Chronicles 36:15-21). And on our last day, we’ll head to the pool to study how Lydia and her whole family were baptized (Acts 16:14-15). Rarely do we venture outside the comfortable walls of our church building or homes and hear Scripture. But this summer, we’re going to change that. I’m excited about trying “VBS On Location” in our congregation, but programs aren’t necessarily the key to passing on faith. It starts with relationships. That’s why VBS On Location requires that at least one caring adult (parents, grandparents, godparents or caretakers) attends with a child. Often adults don’t feel equipped to share their personal faith stories or orally pass on sacred stories to children. Coming together as an intergenerational community at VBS On Location helps everyone learn stories and engage in faith discussion. It also equips adults to continue the conversation with their little ones long past a day at the zoo. If we want our children to recognize God at work in their ordinary lives, we need to talk about God in ordinary places. This helps us build a vocabulary, not just of particular Bible stories but of “faith language” we can incorporate in our regular conversations. Going to the pool and zoo are activities many families will be doing in the summer, no matter what. How can you merge faith with your family’s summer fun? Think of spaces and places you visit every summer—whether it’s the park, the beach or your neighborhood pool. On your next outing, bring a Bible along and make time to read a story and discuss it. Try reading your favorite or one of the stories listed in this article. To learn more about VBS On Location, visit buildfaith.org/vbs-on-location. Janelle Rozek Hooper is the program director for ELCA Ministry with Children and campus pastor at the University of Houston and Rice University. She is author of "Heaven on Earth: Studies in Matthew," published by Augsburg Fortress Press. Hooper lives with her husband and two children in Texas.